The author has provided a stimulating account of the death of Force Z and challenged many of the previous accounts. He stands with the camp that considers the commander, Admiral Sir Tom Phillips, a scapegoat. Alternative culprits are singled out and the arguments are compelling. Whether this lays the matter finally to rest remains to be seen, but this book is a very credible presentation of an alternative view. DESCRIPTION: The British Empire was an unusual empire. It spanned the globe and took the English language with it, but it was never controlled by a large military force. The Royal Navy patrolled and protected the sea routes, linking Great Britain with a network of colonies, dominions and territories, where British troops might be present in small numbers, but where the administration was largely devolved and where commercial interests were usually far stronger than any government administration far away in the British Isles. The result was that minor attacks and insurgencies could be dealt with, but any major threat would inevitably result in early reverses, before Britain and its Empire was able to regroup and then steadily beat down the enemy. In 1939, Britain was remarkably ill-prepared to face any of the gathering threats. In Europe, the Germans rapidly expanded through Belgium and the Netherlands, defeating France and occupying the western half, before then absorbing the Vichy rump. When the Japanese began their series of invasions, there was little to meet them in battle and virtually nothing that could be quickly moved out to hold the line against a determined and ruthless enemy. The sending of Force Z to the waters off Malaya was a token that stood little prospect of making any impact on the Japanese. 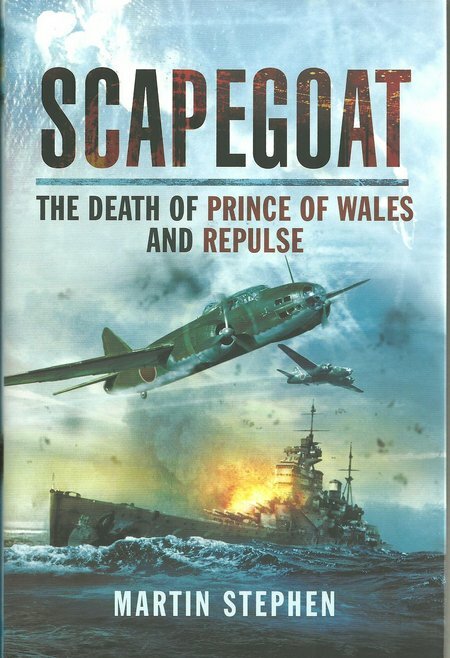 There have been many conflicting views of why Force Z was despatched, how anyone expected them to make a real difference, and how the two capital ships, Prince of Wales and Repulse, came to be destroyed by Japanese aircraft. In Royal Navy tradition, the captain who had his ship sunk under him, and the Commodore or Admiral who had his squadron destroyed, were considered to blame and required to stand court marshal. Whether they were scapegoats or guilty as charged, was never a simple matter or a single truth. RN traditions always held that the captain orf senior commander was always fully responsible for the outcome of any battle. He was expected to stand close to the enemy at every occasion but then held in blame should that enemy overcome his command. There are a number of conflicting records and memoirs from politicians, naval officers, historians and enthusiasts. The sinking of two capital ships, the Prince of Wales being a very modern vessel at the time, and Repulse being a solid example of an earlier design that was still current, was a huge shock but really should not have been. The lesson from WWI was that a capital ship needed support from naval aviation. Shore-based RAF protection was never adequate alone. To send two large vessels into a conflict area without naval aviation was asking for disaster. The Japanese found the ships and sent a large number of bombers to destroy them. The number was large enough to overcome the ships’ own anti-aircraft weapons. There are some accounts of naval gunners who claim this defence was further reduced by a defect in the multiple 2 pounder anti-aircraft batteries. The feed trays were secured by locking pins and split pins. To make cleaning less of a task, it was common practice to leave out the split pins. This allowed the vibration of continuous firing to loosen the locking pins and allow the freed trays to move, causing jams that were difficult to correct. It may have been a factor, but the basic problem was that even a fully functioning armament would still have been swamped by the number aircraft attacking the ships. What cannot be disputed is that the ships sailed under Admiralty orders that were required by a political decision of Government. The Admiral and the ship captains, together with all of their crews, put up a spirited defence against an overwhelming attack. In such a situation, politicians are keen to cover their backs and move the blame as far down the ladder as possible. However, there were very few options open at the time and to send nothing would have sent all the wrong signals. Whether the ships could have been handled better is arguable from the comfort of a Whitehall desk but a commander has to obey orders and deal the hand he has been given to the best of his ability. There is a further area for debate that goes to the heart of the matter of whether the Royal Navy or the RAF should provide aviation over water. The lessons of history are that the RN needs control of its own aviation and the ships and land bases from which that aviation operates. Politicians have always been very happy to take aviation out of RN control on the grounds of saving money but history shows that this costs lives at sea and never achieves the claimed savings.